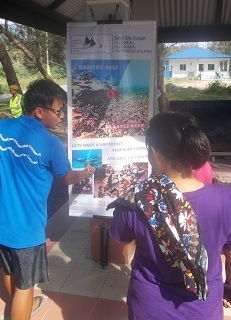 Our final coral planting exhibition for spring 2015 was held on the 6th & 7th of June, aiming to educate people visiting the sunset music festival on the occasion of the World Ocean Day and World Environment Day. The entire science team was up at the crack of dawn to prepare for all the coral planting work to be conducted that day. 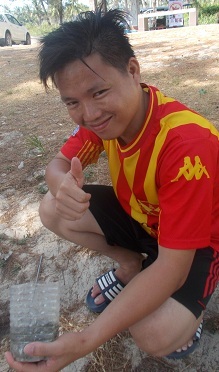 Kit accompanied by his younger brother Yong Sien packed all the coral planting essentials, I meanwhile conducted a fish market survey whilst Jason and Emily collected corals of opportunity ready for the days coral planting followed by a late night information stall at the music festival. 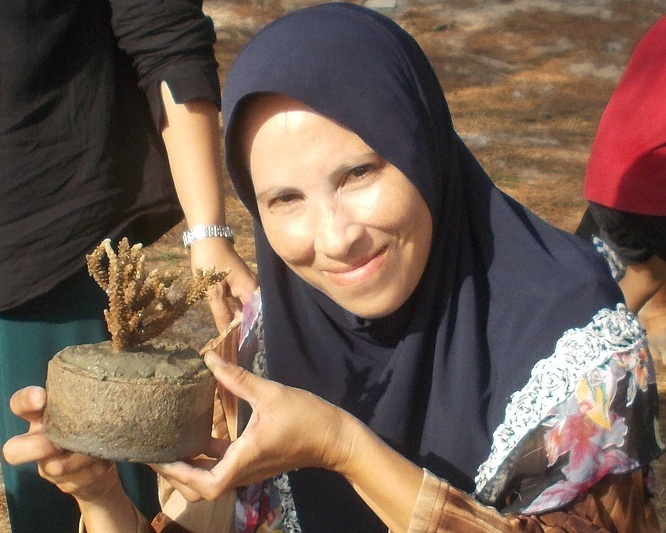 In the previous blog post I outlined the methodology for public coral planting, today I shall expand more into the booth and what we try and explain to people. Educating the general public is a large part of conservation, particularly environmental education for the new generations about the importance of being sustainable. Here at Kudat three kinds of turtles used to be present in abundance, they are as follows; Hawksbill, Green and Olive Ridley. However to date all populations have been severely depleted due to historical egg poaching, with Olive Ridleys turtles likely locally extinct. Numbers of Greens are protected by the activities of community projects such as KTCS but there are still many threats facing these creatures. Ocean plastic pollution is one of the main threats facing these beautiful creatures. We at TRACC have performed autopsies on turtles and very often, as reflected in the literature, find that blockages of the intestinal tract are the primary cause of death. It appears that plastic bags in the ocean resemble jellyfish are one of the most common causes of this threat. Firstly one thing that everyone can do is simply reduce the amount of plastic they use in their everyday life. One of the easiest and most effective ways of doing this is simply not using carrier bags. Buy yourself a lifelong shopping bag and immediately help reduce your carbon footprint. The average active use of a carrier bag is under 30 seconds and yet it can take hundreds of years for this to biodegrade. Also buying in bulk can considerably reduce plastic in packaging terms, and also save you money! Lastly, the simplest of all, don’t litter! Another threat that faces sea turtles is egg collection. Turtles are air breathers and need to come onto land to lay eggs. They lay on average 6 times a season and leave large and very evident tracks leading to their nests. 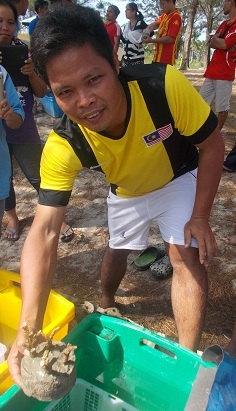 Here in Malaysia the eggs are considered a delicacy, one single nest of turtle eggs can be equivalent of an entire months wages, so its no surprise that historical nest raids have dramatically reduced turtle numbers over the years. At the time of writing it is currently illegal, but with so many beaches its impossible for the police to enforce any kind of law regarding this matter. Here at TRACC, we have collected and hatched in excess of 3000 eggs since 2013. 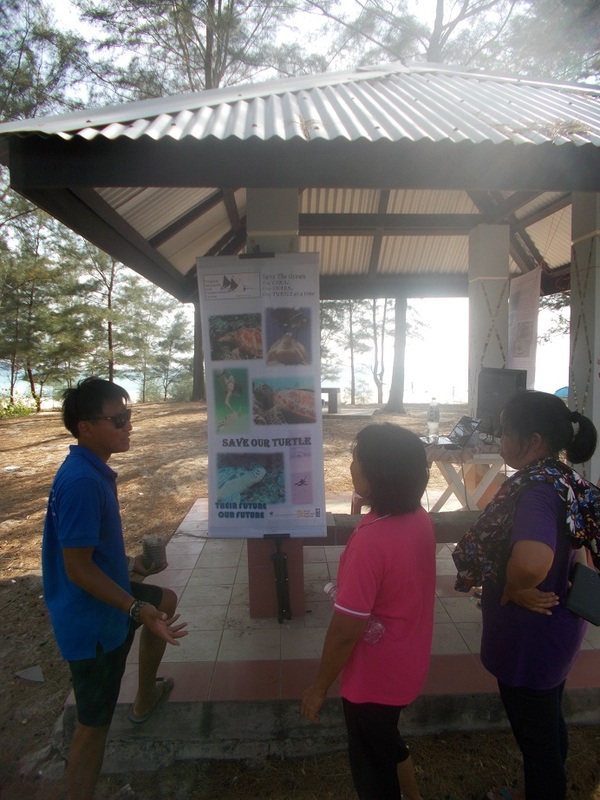 We try and put the message across that the maximum value of turtles, is in ecotourism for the community, rather than a one off payment for an individual. Shark bycatch / fisheries are another issue that we are trying to educate the public about. Sharks are scientifically defined as fish, however they belong to the subclass Elasmobranch, which also contains rays, skates and sawfish. All members of the subclass Elasmobranchii, in comparison to the majority of other fish subclasses, have long life histories (that is they take a long time to mature, gestated etc). This in turn means that sharks are more prone to being unsustainably fished. Shark surveys conducted across the world all point to significant global reductions in populations of sharks, See HERE for ours. Shark fin soup is a causes of massive increases in shark fisheries. 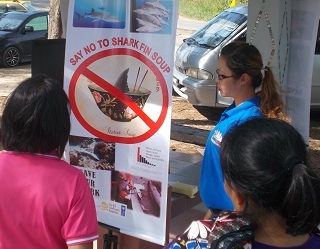 Shark fin soup is a luxury item in Chinese culture, and Malaysia has the second largest import of shark fins in Asia. To obtain maximum profits, it is common practice for sharks de-finning to take place on the vessel and their body to be thrown overboard (sometimes still alive). By doing so much more shark fin (the most profitable part of the shark) can be brought to market. Another threat which we are trying to mitigate is that of blast (aka dynamite) fishing. This sadly is exactly as it sounds. Its roots lie within the occupation of the Philippines by America. Historically WW2 grenades were thrown into the water, they would then explode, killing everything in its radius and fish would simply be collected. Sound like a pretty easy way to fish? It is! Super effective as well as very time efficient. However these bombs also cause massive coral damage, no coral means no fish, therefore the few people who bomb fish are in effect, destroying their livelihood and also the livelihood of other artisanal net fishers for short term gain. For more information on blast fishing click HERE. 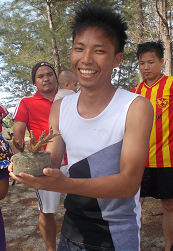 Here are some of the days coral planting pictures. Again i'd like to say thank you to all those who participated and a HUGE thank you to my team of scientists; Kit, Jason and Emily for continually working with a positive, can-do attitude, even when working into the night. Great work guys. 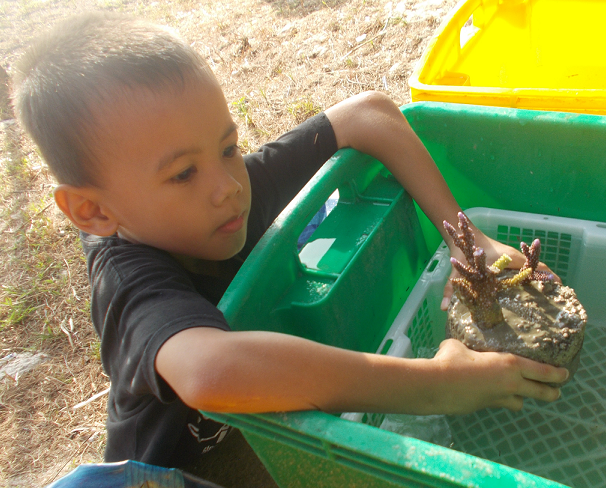 The future generation planting the future coral!